Although Snoop Dogg was previously Reincarnated as reggae singer Snoop Lion and went electro-funk as Snoopzilla, the West Coast rap champ is now back to his main moniker for his latest studio album. The record is called BUSH, and it will be out through Columbia Records in the spring. This is the previously promised collaboration between the Doggfather and Pharrell Williams. As was reported back in fall, Pharrell produced the entire album. Remember, of course, that these two stars have worked together before, most notably on the 2004 hit "Drop It Like It's Hot." In a statement, Snoop said that BUSH has a "a funkadelic glow" that's "totally different than anything either of us has ever done." A press release describes it as "retro-futuristic funk topped with a feel-good mix of R&B and pop." There's apparently "a number of surprise collaborations." We already heard that it would feature Stevie Wonder and Charlie Wilson, and we don't know any other names for the time being. 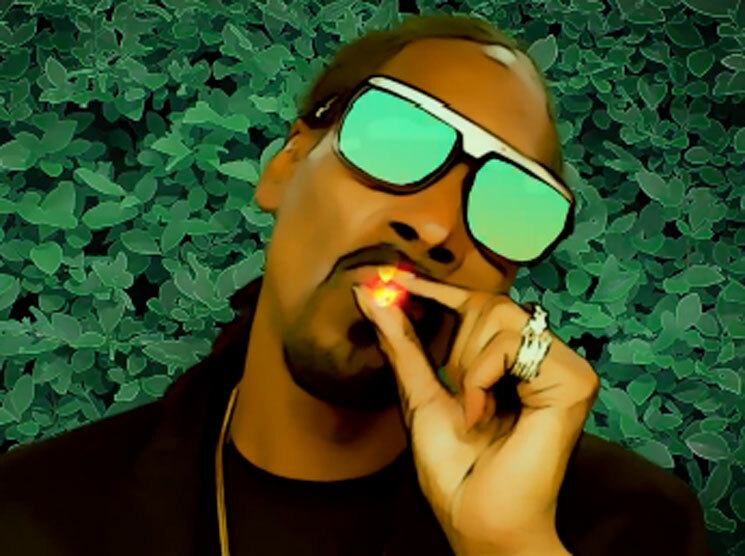 Snoop has launched a new website for the album at FollowTheBUSH.com. Below, watch a 27-second trailer featuring a brief snippet of a funky tune called "Peaches N Cream." A music video for the song is apparently forthcoming, so stay tuned for this and more info about BUSH.